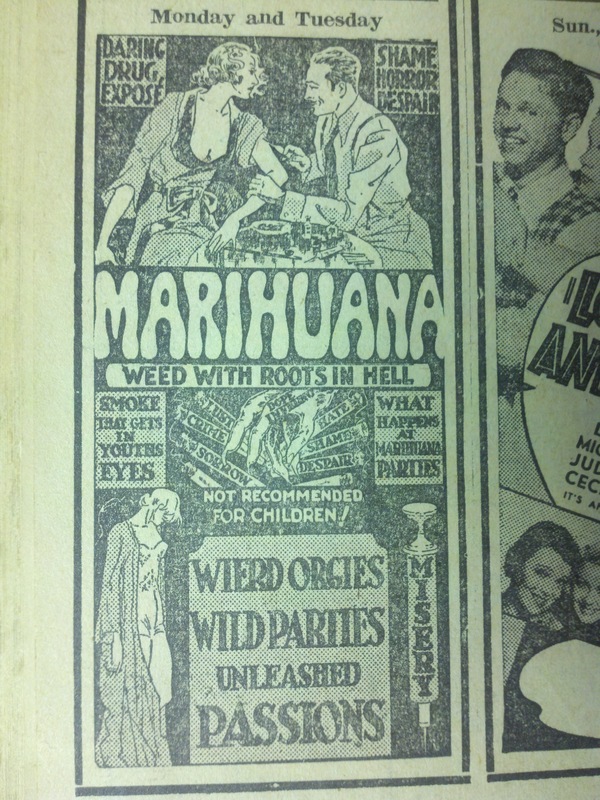 This tantalizing movie ad appeared in the Press & Dakotan in 1938. Had you been in Yankton during 1938, this may very well have been your horror film of choice. If we are to believe the film propaganda, and those are the worst results of marijuana use, it’s no wonder that a solid majority of Americans today believe pot should be legalized. Am I right? It’s (almost) Halloween and you want to burn off some of those candy calories by watching a horror film. The thing is, you’ve probably seen those movies. You need some fresh blood. Some fresh scares. I’m going to point to films available on Netflix Instant for your convenience. I recently watched “V/H/S 2.” It uses the found-footage conceit to some pretty effective ends and features several different directors. I watched it alone. At night. It’s certifiably creepy. I was pleased to learn that many of the films of Italian giallo master Mario Bava are streaming. His films are always visually arresting (even if the stories don’t always make the most sense), and he was an immense influence on later horror and sci-fi filmmakers. Bava’s first credited directorial effort, the Italian gothic film “Black Sunday,” is still one of his most beloved. However, if you want to see Bava in glorious color (and trust me, you do), check out “Kill, Baby … Kill.” Martin Scorsese considers it Bava’s masterpiece. Brandon Cronenberg’s (yes, he’s the son of David) “Antiviral” isn’t a horror movie with scares, but it has lots of ideas, needles and general body manipulation that will make you squirm in discomfort. It’s a brilliant concept that is executed well. If you like the work of David Cronenberg, you’ll definitely want to see this. Finally, if you are more interested in hearing the personal side of an allegedly true horror story that has taken on mythological proportions, you’ll want to watch “My Amityville Horror.” It features extensive interviews with Daniel Lutz, the son who lived in the Amityville home during the alleged hauntings, and many others who were involved with the story. It may just leave you with more questions than answers. I’ve got a new love in my life. The only thing is, it’s a place rather than a person. I made my first journey to Austin, Texas, a couple of weeks ago for the Austin City Limits Music Festival. When the lineup announcement was made earlier this year, I knew it was time to stop talking about a visit to the city and actually book a trip. Depeche Mode and The Cure were both headlining the festival — my top two bands of all time. These are the bands that have soundtracked my life more than any others. We go pretty deep. With them, and dozens of other bands I was excited about seeing on the lineup, I rounded up some friends and we haphazardly stumbled our way into one good time after another. It’s official: I love you Austin. A lot of people have asked me about the trip, and I thought I would take the opportunity here to relate some of the highlights of the festival. First of all, I’m happy to report that I managed to get right up to the front for both Depeche Mode and The Cure. It wasn’t easy, but I did it. And it was definitely worth all the effort. Sadly, day three of the festival was cancelled because it rained up to 11 inches and flooded Zilker Park. Still, I couldn’t walk away disappointed after all the great music I’d seen. The Cure played a set that included deep album cuts and many singles. It’s hard to pick a highlight, but “Pictures of You” has always held a special place in my heart. The first band I saw at the festival was The Savages. They lived up to their reputation of having an intense, mesmerizing live show. Obviously, lead singer Jehnny Beth is the center of attention, but I loved watching Ayse Hassan own her bass. Claire Boucher aka Grimes doesn’t give you a choice but to love her. She is an artist that puts so many good vibes in the air, you can’t defend yourself against them. I’m glad I had a front row seat to her energetic performance. This kid is amazing. I love his debut album, but he was even better live. I saw a lot of other great music, but those performances are the ones that really stuck with me. Some bands that I would have liked to catch, like Muse, Queens of the Stone Age, Silversun Pickups and Arctic Monkeys, were the victims of scheduling conflicts. I was bummed about it, but that’s the reality of a festival as large and wonderful as ACL. Each of us has our own ideas about what may or may not happen when our mortal existence reaches its conclusion. But how do those beliefs affect our decisions in this life? My friend Travis Gulbrandson recently released his first novel, “The Believers.” It explores this very topic. “The Believers” is indeed suspenseful, and the true nature of the young man’s visit is slowly revealed for maximum impact. Gulbrandson is a talented writer, and as I was reading the book I was proud to be able to say I know him. It’s always good to see friends succeed. 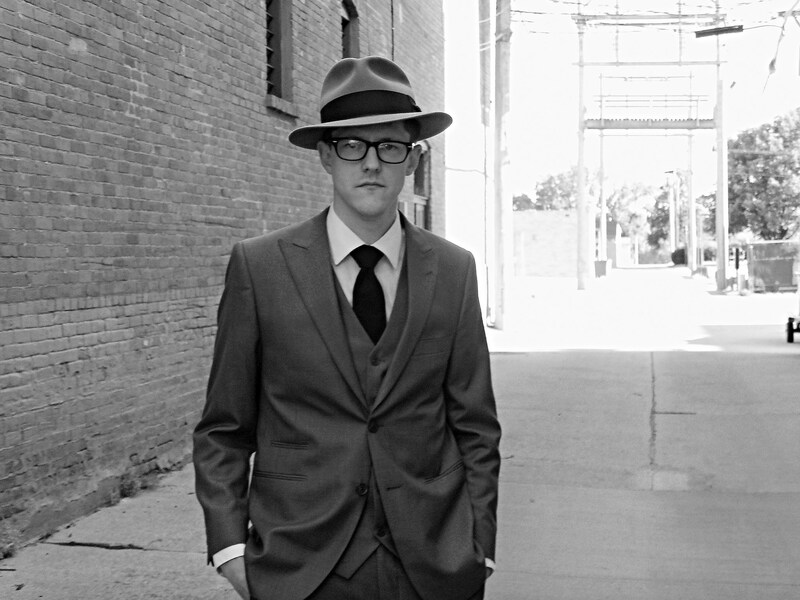 I hope you enjoy getting to know this Yankton author. 1. When did you start writing your first novel and how did the process begin? “The Believers” started as a short story, which basically turned into the epilogue later on. I began writing it at the DakotaDome in Vermillion on the night Katie Couric was given the Al Neuharth Award. I was sitting in the audience with some friends (no, I was not covering the event), and I had an idea that I just started writing. Once I knew what was going to happen I stopped, and watched the rest of the ceremony. I had been writing short stories for about a year up to that point, and thought it might be interesting to write a full-length novel. I started thinking about the stories that I had written, whether any of them could be mined for material. It wasn’t long before I thought of that story I began at the DakotaDome. I didn’t have a real idea in mind, it just seemed to have potential. I started it on my birthday in 2010. At first I thought it would just be this picaresque thing about the main character and the people he encountered. I knew I wanted to have an older woman as a major character, but again, I didn’t know how she would fit in. So, I worked on the parts where she wasn’t involved. Then that Spring, magician and paranormal investigator James Randi came out of the closet at 80+. I had always been a fan of his, and the more I thought about his work, the more I thought it would lend itself to the book. The story came together pretty quickly after that. I didn’t write it quickly, though. The first version I wrote from February to July, and then revised multiple times. By the start of October I put it aside and worked on other things. Then in January I picked it up again, and saw it was completely wrong. The story was good, but I had written it in the wrong way, so that was another nine to ten months of work, writing and revising and revising and revising. I finished it in late 2011. 2. What did you set out to accomplish with this story? That’s a tricky question. I think part of what makes a story special is that it can be interpreted in a number of different ways by anyone who reads it. Once the writer says, “This is what I meant,” the work becomes less special. I did have some goals in mind, and I think I accomplished them. What were they? I don’t think I’m ready to share that at this point. Yes, although none that I experienced personally, with one exception. Fire plays a role in one scene of the book, and I once had to help put out a grass fire at my parents’ house on a dry, windy day. The fire department finished the job for us, and I got to sit in an ambulance and wear an oxygen mask for fifteen minutes. I think writers tend to lean too much on their personal lives when they’re writing a novel. Most of the time, their lives aren’t very interesting, which is why you have a lot of boring books out there. Let’s face it, if there’s one thing the world doesn’t need, it’s another story about a white guy who works in an office. 4. Faith plays a big role in the book, whether that’s faith in God, faith in people or faith in an afterlife. Some characters benefit from this faith, while others aren’t so lucky. Overall, I thought faith was not a quality the book was embracing. Is that a subject you thought a lot about? Yes it was, but again, I’m not really comfortable elaborating on that. 5. Although there is a lot of suspense in “The Believers,” I wouldn’t say it really bleeds over into the horror genre. But at one point in particular I was reminded of “The Texas Chainsaw Massacre.” Were there any horror influences? As I was writing, no, but in retrospect, I could see those influences. One of my favorite things to read as a twelve- and thirteen-year-old was reprints of EC comics from the 1950s. The company was hugely successful for a brief period, but their books were so graphic that the Comics Code was basically created to put them out of business. I read so many of them that they may have permanently warped my mind. I still like reading them, come to think of it, although I do see the plots as being pretty hokey at times. I love Edgar Allan Poe, too, but in the scope of his overall work, he didn’t really do too much that you could properly consider horror. 6. Generally speaking, did you have works of art that you felt were influences on this book? The work of Flannery O’Connor, “Wise Blood” in particular, Edgar Allan Poe, “Steps” by Jerzy Kosinski, “Nightmare Alley” by William Lindsay Gresham, “As I Lay Dying” by William Faulkner, “Outer Dark” by Cormac McCarthy, “Extraordinary Popular Delusions and the Madness of Crowds” by Charles Mackay, and tons of other things I’m forgetting at the moment. I’m also a big fan of Charles Laughton’s film, “The Night of the Hunter,” which certainly was an influence. As far as music, there’s a three-CD set of disaster songs from the 1910s-1930s called “People Take Warning” that I listened to many, many times over the course of writing the book. The music of The Carter Family, too. 7. 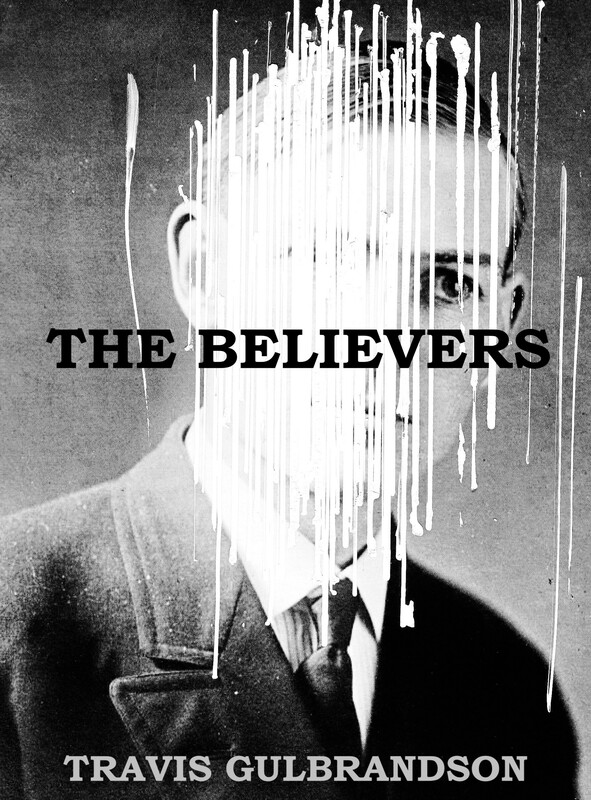 You created the cover for “The Believers.” Tell us about how you came up with the concept. Do you know anything about the “young man” in the photo? I’m a big fan of the covers for New Directions paperbacks, which tend to be black and white, and very arresting. At first I though I might try to make a scratchy pen and ink drawing of someone who had no face, but for some reason I no longer recall I decided it might work better to manipulate an existing photograph. The Library of Congress has thousands if not millions of rights-free images on its Web site, so I went there and started searching. I may have typed something like “young man” in the search bar, but I’m not sure. Whatever it was, some pictures from some kind of school popped up. There were two that I liked, and ultimately I picked the one I used. I’m not sure who he was, apart from the fact that he was a student. To make the cover, I bought some photo paper and printed the picture off, and then set to work marking it up with a Wite-Out pen and a ruler. I considered using an X-Acto knife, too, but the pen worked fine. Once the markings dried, I scanned the picture, then desaturated it and bumped up the contrast with a photo editor. Then I cropped it and put the text over it, and that’s what you see. 8. You self-published “The Believers” as an e-book. What led to that decision, and how has it worked out for you? Originally, I was hoping to find an agent to represent the book, but after about 100 or so rejections, I realized the chances of that happening were pretty slim. The agents who read the book liked it, but their response was almost uniformly, “I don’t know how to sell this.” Basically, it was too much of a thriller to be considered literary fiction, and too literary to be considered a thriller. So I decided to sell it myself. I haven’t sold too many copies yet, but I don’t really mind. It takes time to build word-of-mouth for this kind of thing, and after more than two years of writing it and two years of waiting to get it out into the world, I figure I can wait a little longer for it to find an audience. 9. Where can people purchase your book? It’s available through Amazon.com here. Fans can also follow me through my Web site travisgulbrandson.com or facebook.com/tgulbrandson. 10. You’re already working on another novel or two. What can we expect from you in the future? I began writing my second novel on my birthday this year, and I’m midway typing corrections on my fourth revision. One more to go, and I think it’ll be done. It’s much different than “The Believers” in terms of plot, but not necessarily in terms of style. It’s about 100 pages shorter, too. I may still make some big changes to it, so I don’t feel comfortable in saying what it’s about yet. I will say, though, that the title is “Away from the Nets,” and that it probably will be out in August. After that, I plan to revise and collect the short stories I’ve written and put them out after the second novel. I may write some new ones, but I might not. The short form doesn’t hold much interest for me right now. During all this, I’m continuing research for my third novel. I’ve been researching that for about two years now, and there’s no end in sight. It’s based on real people and real events, although I probably will end up changing names. I have no way of knowing, but I’m pretty confident it’ll be bigger than my first two novels put together. Whether that’s a good thing is another story. I recently spent nearly a week in Austin, Texas. 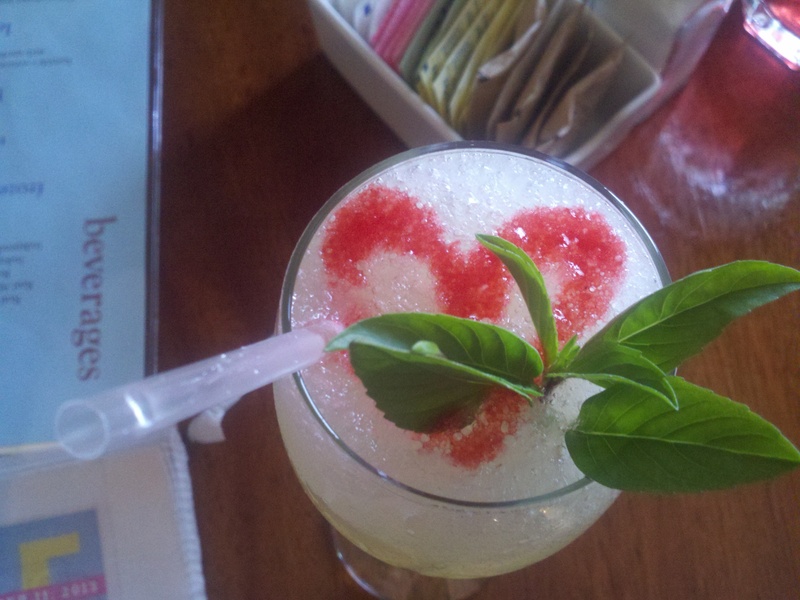 This refreshing drink was served up at the Eastside Cafe in Austin. Truth be told, I felt a lot of love in the city. I was in Austin for the Austin City Limits Music Festival, or ACL for short. On the night prior to the festival getting under way, I saw that Kelly Hogan was playing at The Mohawk. I first got to know Hogan when I saw Neko Case play in Omaha several years ago. She was a a backup singer, but provided many laughs as she bantered with Case and the crowd. Hogan also has a solo career and released the album “I Like To Keep Myself In Pain” last year. As I was hanging out before the show, I looked up from talking with my friends and noticed Hogan was at the bar. Instead of doing something dumb, like thinking, I just got up and went to say hi. I just wanted to double check. It was. “For a moment there, I thought you said Navin Johnson and this night was going to get a WHOLE lot more interesting,” she said and laughed as we clinked our drinks. How did she know this is me every morning when I pick up the Press & Dakotan? Like I said, Hogan has a great sense of humor in addition to a great voice. She put on a wonderful show at The Mohawk. If you had seen me get my flu shot Wednesday, I’m sad to say you wouldn’t have found much drama in the proceedings. I was a big boy and didn’t even flinch when the needle entered my arm. I was just sad when I didn’t get a sucker for my good behavior. Right afterward, I picked up the Mitchell Daily Republic and saw the photo to the right. 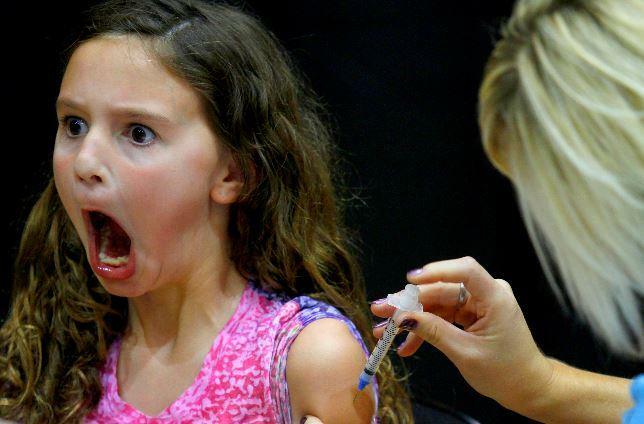 My heart immediately went out to this girl getting her flu shot and evidently not caring for the experience. It’s a great photo that captures so much emotion. While I remained stoic during my shot, I am a bit afraid of having a similar look upon my face today. Last year, I had a surprise bout of mild sickness the day after the shot. I’m not going to go into any detail for your sake, but I will say it caught me by surprise and I’m sure a lightning bolt of shock swept across my face in the moment I realized what was happening.